In keeping the home insulated and protected, some materials are better than others. One of the most common questions regarding siding, is which is better? 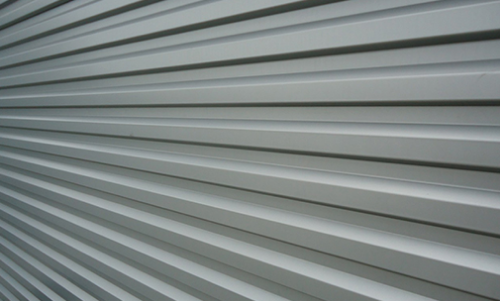 Vinyl or aluminum siding. When deciding on the siding material, various questions linger in many homeowners minds. Which type of siding is best for the home? Which is a cheaper siding? What are the advantages of a particular kind of siding? Which will last longer? Which is more durable? Here are some helpful insights for you to make the right choice for your home. Durability is an essential feature in home exteriors. One of the things that many homeowners don’t want is their homes to look worn-down due to sub-standard siding materials. Both vinyl and aluminum have excellent durability, but if all aspects are put into consideration, vinyl is far ahead. Vinyl is considered superior because both aluminum and vinyl are resistant to exposure and wear, but aluminum is so susceptible to scratching and denting. Vinyl wins over aluminum in this aspect because it’s thicker than aluminium. The cost difference between vinyl and aluminum is very minimal. Aluminum is slightly cheaper than vinyl, but there’s a reason behind that. Vinyl has got a better cost recovery because it increases the value of the home than aluminum. This is because of the vulnerability of aluminum to damage which hurts the value of a house with time. Regarding cost and availability, vinyl wins over aluminum in that you pay little more upfront. This is because vinyl improves the home’s value. If you consider upfront costs, aluminum beats vinyl, but remember you get what you pay for. This is one of the critical factors when you are deciding between vinyl and aluminum siding. The cladding material is supposed to keep the more refreshing and heated air inside your home without you bothering your air conditioner and furnace. In extreme conditions, aluminum absorbs heat which makes the home to be sweltering. With the aluminum siding, you have to rely on your air conditioner for the house to stay cool. Also, aluminum isn’t as durable as vinyl; the probability of it getting damaged is high; this will lead to holes, leaks, and cracks which will make it lose energy efficiency. On the other hand, vinyl is exceptionally resistant to warping, cracking, rotting and prevents rodents from making their way beneath the siding. You need a material that requires less amount of work so that you don’t have to worry about repairs and renovations. Depending on the damage, aluminum siding is scratched and dented so quickly and will need to replaced or repaired now and again. Also, aluminum fades easily and requires painting more often. Vinyl never fades because its colors are baked during manufacturing. Vinyl only needs regular cleaning. Apart from that, your home will remain intact for many years. When you want to replace your siding with new siding, you either want the existing or something fresh. Aluminum has gone through various modifications but still lacks the most aesthetic features. It always has a metallic appearance which steers way many homeowners. Vinyl has many options such as dutch lap, vertical, scalloped, standard and many others. There’s even shake style siding which gives a home beauty of wood siding. With these options, vinyl outperforms aluminum. Vinyl siding is affordable, quick to install and fits into any architectural style. Whether your home is a large three-story or small one level, vinyl will make it look great. Vinyl has many new texture and color choices that add personality and flair to the outside of your home. The siding comes in various colors that range from traditional dark colors, bright colors to historical accuracy for specific types of architecture. If you live in the neighborhood that is color strict, you will still find high-quality vinyl sliding that falls within the acceptable color parameters. When you can forgo caulking, filling, and painting, fewer chemicals are released into the atmosphere. Vinyl only needs washing water and detergent in its maintenance. Aluminum requires regular painting which releases many chemicals into the environment. Vinyl reduces one’s carbon footprint. Have your vinyl products from a manufacturer that manufacturers responsibly and uses eco-friendly packaging. And by the way vinyl sliding is recognized by various organizations as “green approved” meaning they are certified. Compare the weight of the two materials; vinyl weighs less to aluminum. This makes vinyl easy to transport, even with non-commercial vehicles. Weight also makes vinyl a wise alternative for small construction teams. Most homes have insulation in the space between wall studs. The problem with such an issue is that it leaves studs open to heat transfer. With insulated vinyl siding, the contractor fills the studs, besides, the mid-space, hence, decreasing unwanted heat gain and loss. Resistance to heat transfer keeps your home cooler in the summer and warmer during the winter without the use of the HVAC system. Many exterior materials, aluminum inclusive, have difficulty in withstanding extreme weather conditions. Vinyl is exceptional in high amounts of precipitation and high winds. Vinyl manufacturers test their designs against the wind of up to 200 mph. Wind resistance quality makes vinyl a better choice for rural homes that are prone to storm. The sliding is durable but not impenetrable. If gazed by a snow blower or lawn mower, it will chew up and crack. In case of high winds and the panel isn’t secured appropriately, the sliding will come off. When it comes to PVC, and there is no patchwork the entire boards need to be replaced. Also, if you do not install the sliding correctly, it can leak which makes them vulnerable to all sorts of elements such as decay, infestation, and rot. Price – you don’t want cheap options, but also you don’t have to spend more than the necessary limits. It’s very critical to do consult with a professional roofing contractor to ensure you’re getting an excellent product and correct installation. Warranty – Warranty reveals the quality of a particular brand’s products. The brand should be willing to stand behind its merchandise even after selling for a more extended period. Brands that have less confidence with their products give short warranties. If you’re updating your home with a selling intent, steer away from green, dark brown and yellow colors because they put off potential buyers. The colors are considered to be obsolete. The combination of crisp white color, light grays, and warm beige is very appealing. You can also use virtual design tools if you aren’t good with colors. Many companies provide virtual design tools that allow one to customize the siding. In terms of energy efficiency, durability, maintenance, appearance, variety, and maintenance, vinyl sliding is far better compared to aluminum siding. Even considering affordability, vinyl can be considered a better option because at the end of the day it improves the home which boosts the home’s market standards.